Take an RV and travel through Montana and Idaho, enjoying the landscapes, the wildlife and the simple pleasures of travel. This trip is a long one, through buffalo territory, into the wilds of national forests and stopping in small towns filled with history. You begin this journey in Missoula, Montana where you can stay a while to experience festive occasions the year round. Jim and Mary’s RV Park is a great place to stay with lovely shaded sites. From Missoula you will follow I-90 to where MT 200 and Highway 93 turn north. Follow MT 200 to Highway 95 and south again on I-90 back to Missoula. This route will take you to untold beauty, scenes from picture books and views of where the buffalo roam. In Glacier Country, you can experience the Northwest as you always imagined it would be. Stop to hike, fish, paddle on the lakes or just watch the wildlife wander the forests. Glimpse grizzly bears, deer, elk, moose and wolves. When you reach the National Bison Range where herds of bison still roam, get on Red Sleep Mountain Drive which takes you into the refuge along an incredibly scenic drive. No trailers are allowed on the road and you should ensure your RV can make the trip. There are plenty of steep inclines and sharp curves. But if you have a motorcycle or other vehicle, you definitely won’t want to miss this opportunity for stunning views and a wide array of wildlife viewing as well. Part of your trip will be within Kootenai National Forest and you will reach Thompson Falls and the beautiful Thompson Falls Dam along the Clark Fork River. Have a picnic with the family before moving on to Cabinet Gorge Reservoir. This is the ideal place to break out the fishing gear and possibly catch some largemouth bass, or rainbow, brook or cutthroat trout. Be sure to ask locals for the best place to go. Finally you enter the Idaho panhandle and have Coeur d’Alene National Forest surrounding you. This is a wilderness area of lush forests, mountains and lakes. One of the most beautiful lakes in Idaho lies in your path – Lake Pend Oreille. With 111 miles of shoreline it offers lots of fishing opportunities. It is also one of the deepest inland lakes in all of North America at an approximate 1,170 feet. Take to the water on a Jet Ski, paddleboard or sailboat. The fun is never-ending! Of course, Sandpoint, Idaho is right on the lake and surrounded by mountains that provide endless chances for all sorts of outdoor recreation. Some state parks in the area are highly recommended for a visit such as Round Lake State Park, where you can rent a canoe and paddle until dusk. Fish for perch or trout! Then head for the other state parks in the region like Farragut and Priest Lake State Parks. When you get your fill, you head south on 95 to Coeur d’Alene, Idaho and more activities to keep your days full. From here, simply follow Interstate 90 back to Missoula, not forgetting to stop at Old Mission State Park on the way. What a perfect RV trip! What fun! Come back again! The picture of the bison is by Paul Frederickson and is from the Wikimedia Commons. It is licensed under the Creative Commons Attribution 2.5 Generic license. A trip to Glacier National Park offers the awe-inspiring beauty you have always dreamed of in a refreshing and unique vacation. Traveling in an RV to this wonderland of peaks and meadows is the perfect getaway for the whole family this summer. Wildlife is abundant, wooded slopes invite you into their depths for a nature hike and the fresh air stimulates and excites as nothing else can. It is the Going-to-the-Sun Road that is the true adventure in a Glacier National Park trip. You get 50 miles of absolute gorgeous vistas and diverse landscapes. Lakes, glaciers, mountains’ majesty – the sights never stop. Glimpsing the mountain goats and bighorn sheep is a real thrill. You can’t forget your camera on this trip or you’ll end up buying another so you won’t miss a shot. St. Mary Lake graces St. Mary Valley and you will want to stop and view Virginia Falls while here. The region around this lake has been the home of Native Americans for centuries. Stop at the St. Mary Visitor Center and get more education about the tribes who lived here and those that still exist. Many award-winning and amazingly varied performances happen at the visitor center throughout the summer. You will find one of the Glacier National Park campgrounds will be just the place for you to make your base of operations while visiting the park. Different campgrounds take different lengths of RV motorhomes, so you can choose depending on the length of yours. The campground that takes the longest RVs is Apgar, accommodating those up to 40 feet long. Of course, the park is named for the numerous glaciers here, and these glaciers are what formed the park as you see it now. They carved the bowls and created the moraines of today. The very heart of the park is at Many Glacier where you can get up close and see these magnificent wonders of nature. If you want to get out and hike, Chief Mountain is the place to do it! Some of the trails are pretty strenuous, but you will find some are not so tough. To get to the mountain, you will have to cross Blackfeet land. There are tribal regulations in place, so be sure to find out what they are before you embark. One breathtaking view after another is available at Logan Pass. This is the highest point in the park and you will most certainly want to make it to the top. The meadows are blooming with lovely wildflowers and you may even glimpse a grizzly bear. Two great trails are in the area that you can hike – the Hidden Lake and the Highline trails. The largest lake in Glacier National Park is Lake McDonald. You will find plenty of outdoor fun at this lake, particularly hiking. The best trails here are the Trail of the Cedars and the Avalanche Lake Trail. Once you enjoy the spectacular views you can move on along Going-to-the-Sun Road to the end, but your trip will never end because you’ll carry memories of it with you forever. Picture credits: The picture of St. Mary Lake in Glacier National Park is from the Wikimedia Commons. It is in the public domain. For one of the most scenic RV vacations ever, take the Beartooth Highway through Montana and Wyoming. This byway rates high on the list of top scenic drives in America. Breathtaking views, gorgeous valleys, waterfalls and glacial lakes await you. You will travel sixty-seven miles from Yellowstone to Red Lodge, Montana, through a number of National Forests and National Wilderness lands. Make your home base in Cooke City and stay at Colter Campground, a spot high in elevation with RV sites available. You will be close to Yellowstone National Park, which is where you will start your adventure. If you haven’t visited Yellowstone before, now is the time! You can’t miss Old Faithful, and there are numerous geysers, mud pots, hot springs and other amazing sights. Wildlife is abundant as well as plenty of places to hike or bike. As you move northeast out of Yellowstone and begin your drive in your RV on the Beartooth Highway, stop in Cooke City, Montana and visit the F.J. Williams Gallery. This is the oldest house in town, built more than 140 years ago. You will see fascinating antiques and primitive art and learn some interesting history. You should also stop at the historic mining community of Silver Gate. This is filled with history of the Old West. Side trips are always fun, and at the junction of US Highway 212 and WY 296, you can take the Chief Joseph Scenic Highway for more spectacular scenery. You will head south to Cody, Wyoming and enjoy miles of breathtaking beauty. Head back then to the Beartooth Highway to continue on your journey. Just a bit further west when you get back on the Beartooth scenic route, you will find Crazy Creek Falls. It is worth a stop to see this incredible waterfall and learn some of the history connected. This unique waterfall comes from Crazy Creek, named because of its wild, erratic pattern of flowing. Take the walking trail and reach the viewing area for some lovely vistas. The Beartooth-Absaroka Wilderness in Central Montana offers great wildlife watching with wildlife such as elk, mountain goats, black and grizzly bear and moose on the prowl. You can even ski here in June and July. Granite Peak stands high over the plateau, and is the king of all the rugged peaks in the Absarokas. Dare you try to climb this mountain? Many do. It is usually best as an overnight endeavor. As you drive over the Beartooth Plateau, you will marvel at the inspiring views of alpine tundra, glaciers, mountain peaks and of course, the wildlife spotted at a distance. This plateau is at an elevation of 10,970 feet. You are really up there in the atmosphere! You will finally come to Red Lodge, Montana, a quaint town with a lot of history. You have completed your RV journey and it is time to head home. You have the satisfaction of knowing you have visited a beautiful corner of the world, the Old West coming alive in all directions. It is something that you will never forget. If you love the panoramic landscapes that mountain vistas offer, then Glacier National Park is the place to go. 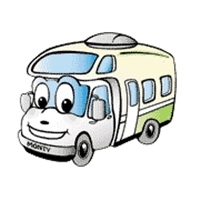 You can take an RV for the best vacation ever, traveling the byways of Montana in style. You will view alpine meadows and rugged mountain scenery. Pristine forests are filled with wildlife and lots of adventures for the whole family. Begin your wilderness journey in West Glacier, MT, the western entrance to Glacier National Park. Explore the town and its historic past. It is the perfect beginning of a special Montana getaway. Stock up supplies for your trip across the Continental Divide and glorious views. West Glacier KOA is a perfect place to use as a home base for your RV vacation to Glacier. You will take beautiful Going-to-the-Sun Road through the park, with access to all the best sights. This road is 50 miles of incredible scenery. The road is open from June (or snowmelt) to around September or October. If you would rather not brave the high roads and twisting curves in an RV, you can park in West Glacier or St. Mary and take the shuttle system that Glacier National Park provides visitors. This is a comfortable way to view the park and all its wonders without worrying about driving or parking. There are abundant activities for all ages in and around the park. Wildlife viewing is a favorite, with plenty of bighorn sheep, moose, mountain goats and even bears. There are over 700 miles of trails in Glacier National Park, so you simply must take advantage of the opportunity for a high-altitude hike. Once you get accustomed to the elevation, it will be easy to trek along the beautiful trails. The Trail of the Cedars and Avalanche Lake Trail take you to a lovely mountain lake. Be aware that the trails are high and you must take care and not get too close to the edge. You will finally come to the lake and enjoy the marvelous waterfalls falling from the cliffs. If you love to fish, you will have plenty of places to throw in a line. You will find Avalanche Lake has some great fishing as well as wildlife wandering its shores. Hiking to the lake is half the fun. Hidden Lake is another lake requiring a hike to reach, taking a trail from the Logan Pass Visitor Center. Find some really big trout here, up to twenty inches long. The most common fish caught in Glacier Lakes include brook, bull and lake trout as well as Kokanee salmon. Try your luck at Bullhead Lake, at the foot of the Continental Divide. Get to Lake Josephine by hiking or boating across Swiftcurrent Lake. This backcountry lake is easy to reach, and will provide a great fishing experience. Mostly hikers come here so fishing pressure is light. Once you reach the end of Going-to-the-Sun Road, you will be at St. Mary, the eastern entrance to the park. It is a wonderful place to say your goodbyes to Glacier National Park and start your trip home, plenty of incredible memories of your RV vacation etched into your memory. Picture credits: The pictures of Avalanche Lake and Hidden Lake are by National Park Service staff.